Selling on Poshmark is not only as easy as 1-2-3, but it’s also fun and empowering! With Poshmark, you’ll fall in love with your closet…again! Create a listing in seconds. We make it super simple for you to list an item for sale on Poshmark. Simply snap a few pictures or upload them from your album, give your item a title, short description, set your price and – VOILA! Your item is available for women across the country to buy! Easy peasy lemon squeezy. Name your own price. Take control over your closet with Poshmark! Unlike your typical consignment store, Poshmark let’s you decide how much you want to get in return for your item when it’s sold. So, go ahead – list that Louis Vuitton purse you never wear or those Alexander Wang booties that are way too high for you and find them a new home…at your own price terms! It’s free to list and sell. Listing and selling on Poshmark is not only quick, but it’s free, which means no need to worry about hidden listing fees or pesky credit card fees (we take care of that for you). To top it off, we provide you with a pre-paid, pre-addressed shipping label once your item sells, so all you have to do is box it up, print and attach our label, and send it off via USPS. What do you have to lose? Go ahead, list your closet and start making money! 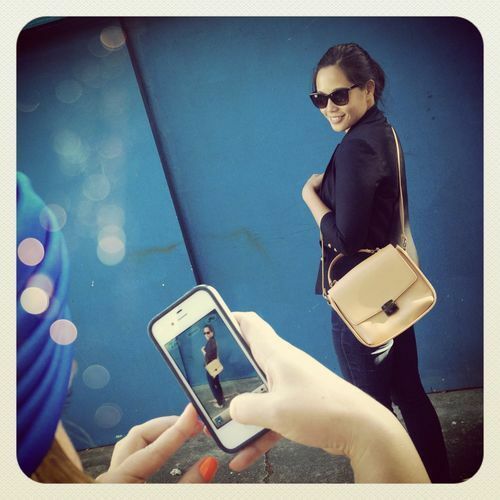 Poshmark anywhere, anytime. Because Poshmark is mobile, we make it convenient for you to instantly communicate with others in the community, sell, and shop at any time of the day, no matter where you are! In Hawaii? Poshmark after dinner with the late-night crowd who can’t sleep in New York City. Waiting for your friends to arrive for happy hour? Open up Poshmark and find a new necklace to wear on your weekend date. Commuting on the train? 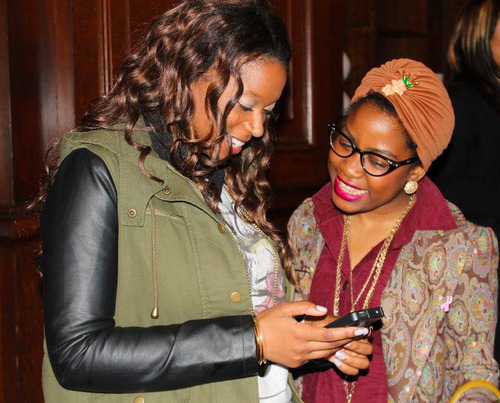 Pass the time (and have plenty of fashion fun) by joining our daily Posh Parties or shopping past parties – straight from your phone! Previous Post Great Photos = More Sales. Next Post Posh Tip: Get Ideas for Listings by Checking Out Posh Parties! Hi Kelly, Poshmark’s fees for sold items covers the financial transaction for you (including paying credit card fees), providing you with a pre-paid, pre-addressed shipping label, and the customer support team for each sale. Where does poshmark send the prepaid shipping label to? Is it my email address? Yes! The email address you have registered to your Poshmark account is where you will be sent your shipping labels. What is the percentage that Posh keeps so that I can judge what to price me items at based on the actual return I hope to receive? Hi Kelly! Poshmark has a 20% commission fee. More FAQs here: https://poshmark.com/faq. 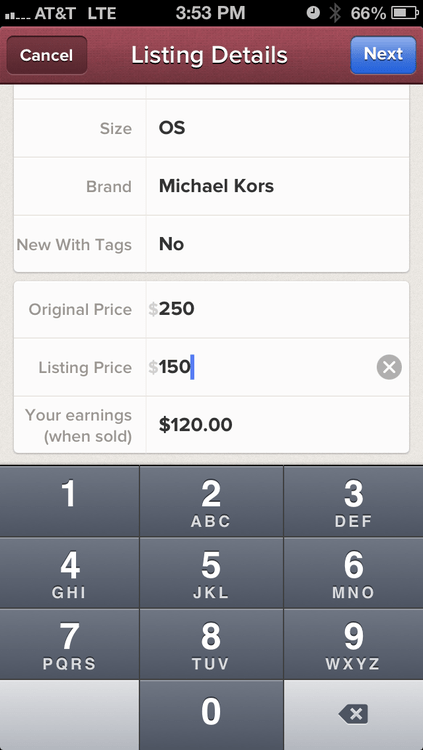 You can also see your expected earnings when you create a listing within the app. So we have to provide the package? Is there any type of envelope inbox that is preferred? Hi Dani, see the “How do I ship my item” section under the Posh Guide: https://poshmark.com/posh_guide/how_to_ship. Why is the price always marked out and another one beside it? That represents the original or retail price, and the one beside it is the sale price. This is to show the savings on the current price. Is the 20% figured on the listing price or the actual selling price? Hi Debbie, the selling price. what if you have an item to sell and so not know or remember the original price? And I understand the resell rules for swim and undergarments does lingerie fall into undergarments rule? Hi Christina, If you don’t remember the original price, you can put 0 as the original price. And yes, lingerie would be considered undergarments and should be unworn, new with tags. Slips, however, are not considered undergarments and can be gently used. What about just corsets (no underwear) that some people would wear as tops, such as from Corset Story? Mine do not have tags anymore, but are unworn. Hi Samantha, corsets in good condition are allowed for sale on Poshmark. We recently updated our policy and these can be sold with or without tags. It says “free” to list and sell but with a 20% com. it’s clearly not, so that should probably be updated. It’s free to list and get started u don’t ever pay out of pocket for anything. Buyer pays the shipping. PoshMark credits u the balance after thwireless commission. WIN WIN ! I LOVE IT! What if I only have one item so far to sell. Do I have to have a full closet? Hi Amy, it’s always nice to have more than one listing, but there is no minimum required. Happy Poshing! How do we get paid by you after we sell something? Hi Debra, See this helpful post in our Posh Guide: https://poshmark.com/posh_guide/how_to_get_paid. I can’t use my credit card to purchase anything. I bought one item and ever since when I go to buy it says no.? Do you have any idea why? I have money? Hi Sarah, please reach out to support@poshmark.com so someone can investigate your particular issue. Thanks! where is the search for newly listed items? Since the bundle update that seems to be gone! I want to be able to search for Newly listed items again. Hi Pam, You can find Just In pages by shopping by brand. Access them from the shop tab, then select a brand and choose the Just In tab. Where does the money that I get from my clothes go? In my bank account or is it just credit on the app to buy clothes? Hi Mak, you can use your earnings to shop on Poshmark or you can request cash via direct deposit or check. New to Posh, and misunderstood the pricing of a blouse that I wanted for my g’daughter. It was listed for $22, After seeing a notification of the drop in price to $3.99, I thought it was the price of the blouse, but it was the shipping cost that was reduced. Of course my offer of $4 was declined. When I realized my mistake, I tried to contact seller, and made another offer for $20. It too was declined and I am blocked from her closet. Is that how things are usually handled? Hi Chazmim, we’re sorry to hear about this. Please reach out to support@poshmark.com and they can help resolve the issue. I’ve seen sellers say that they will block anyone who they consider is giving an offer that is too low. Personally I think that’s very unprofessional and I certainly wouldn’t do that–I would just reject the offer. It really just depends on the seller to be honest. How do I get paid from the customer???? Hi Heather, see our Posh Guide about how you get paid from selling on Poshmark: http://www.poshmark.com/posh_guide. Once you list do you have to keep the item there until it sells or can I remove it at some point? Or does it automatically get removed after a period of time? Hi Teri, you can delete unsold listings at any time. There is no automatic removal of a listing, unless our team finds that an item is not within our guidelines.